Firm: Meagher & Geer, P.L.L.P. 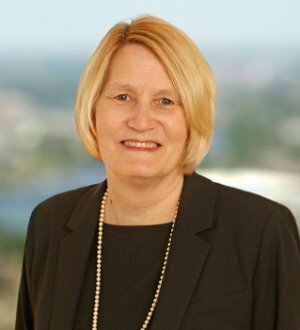 Laura focuses her practice on commercial insurance coverage -- especially environmental and construction defect claims and litigation, which she has handled throughout the United States in the state and federal trial and appeals courts. She has appeared in three state supreme courts and four different federal circuit courts of appeals. Her practice also includes insurance coverage disputes under life, health and disability policies; medical stop-loss policies; and insurance agent errors and omissions policies. It is important to have the experience to advise clients on the potential outcome and cost of litigation and let that drive the strategy. When the client’s goals are achieved by taking the long view on an entire class of claims, it is very satisfying. Laura repeatedly has been named to the Super Lawyers® list in the category of insurance coverage by Minnesota Super Lawyers magazine. She has also appeared in that publication’s list of Top 100 Women Super Lawyers. She is also listed in The Best Lawyers in America for her insurance coverage practice. Laura is co-chair of the Section of Litigation’s Insurance Coverage Litigation Committee for the American Bar Association. She served as vice-chair for the 2008 meeting of the Insurance Coverage Litigation Committee of the American Bar Association and she served as the chair for that meeting in 2009. She is a member of the Defense Research Institute and a speaker at insurance conferences sponsored by Mealey’s and the American Bar Association. Laura has also published articles in insurance publications, including Claims Magazine, and the publication of National Association of Mutual Insurance Companies (NAMIC).